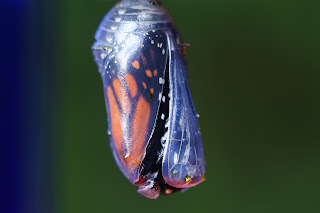 The body is about to flop out. 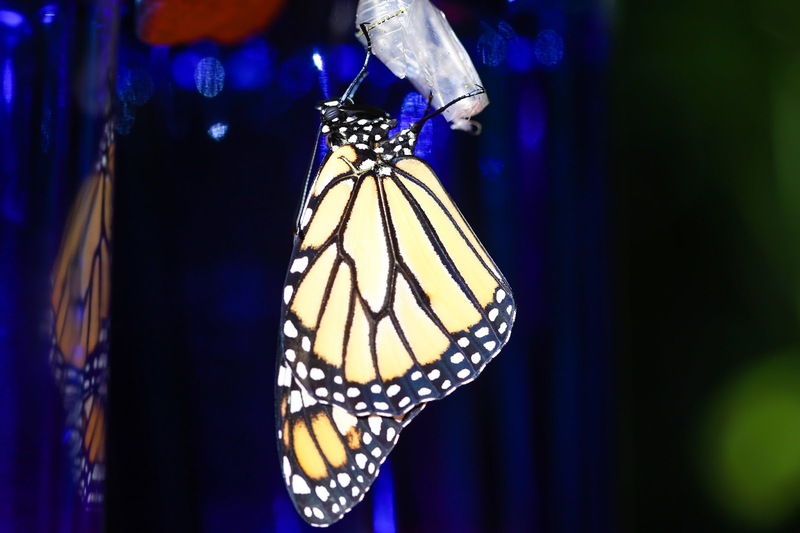 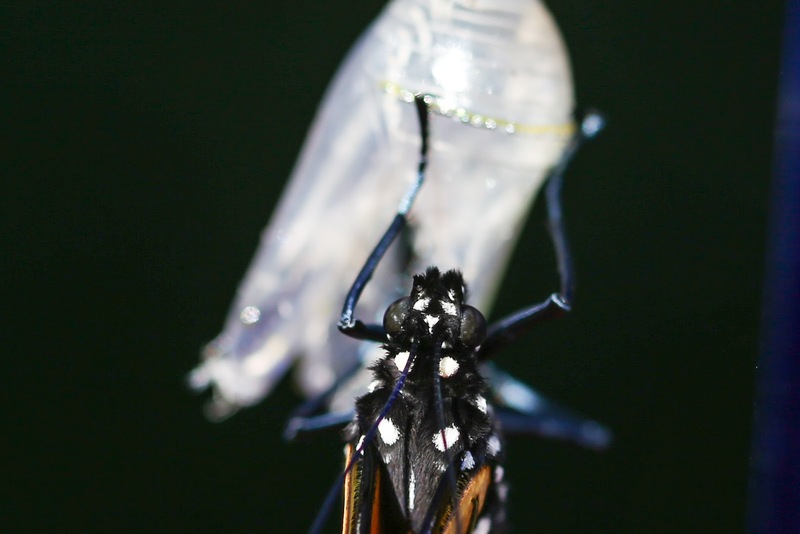 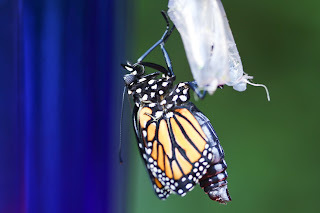 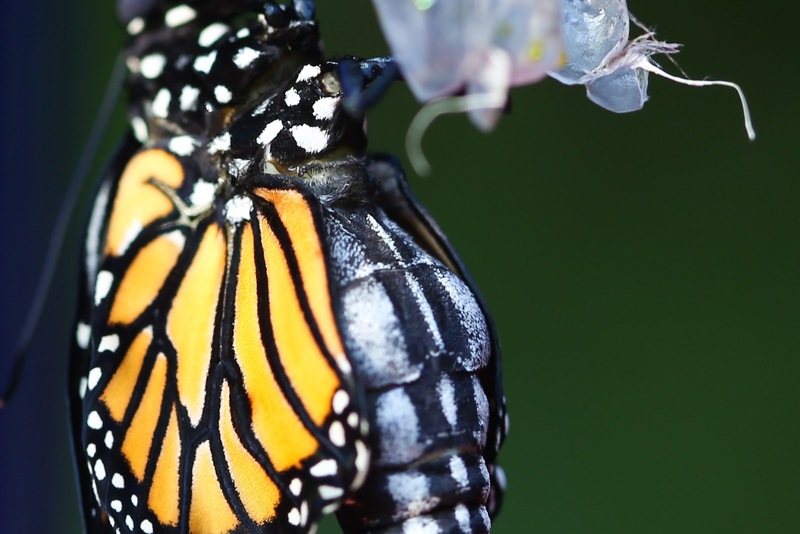 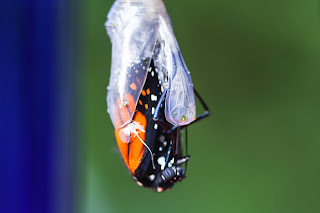 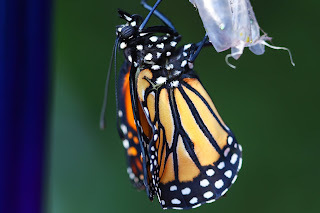 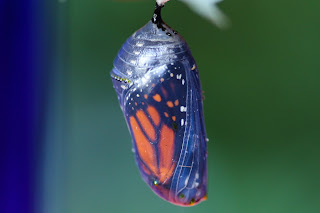 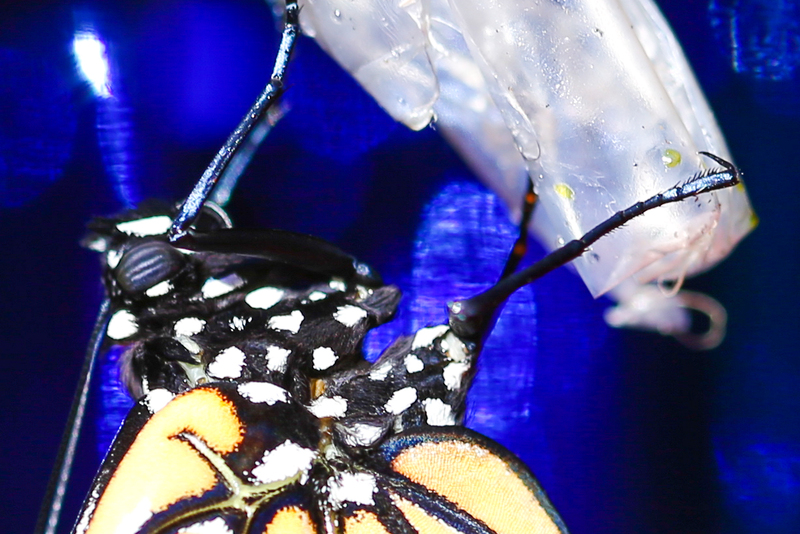 It literally drops down - the butterfly was folded in half inside the chrysalis. My pictures of this part were blurry. All out and still wrinkly - has to stretch and dry. 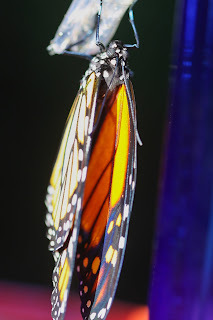 Again and again, the butterfly flexed his wings and I even noticed the segments on the abdomen plumping and flattening from top to bottom. 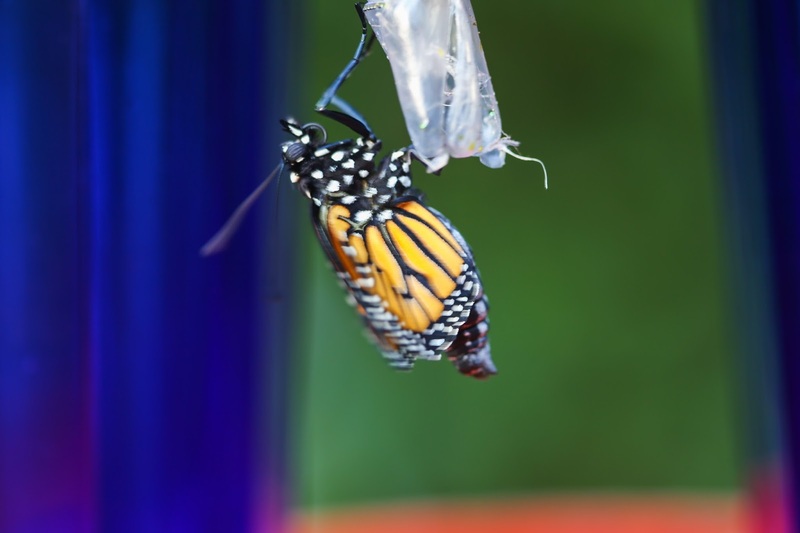 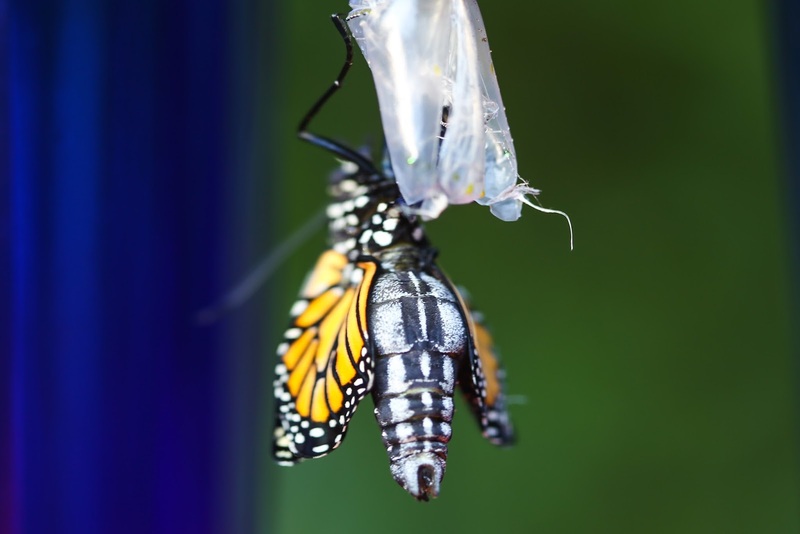 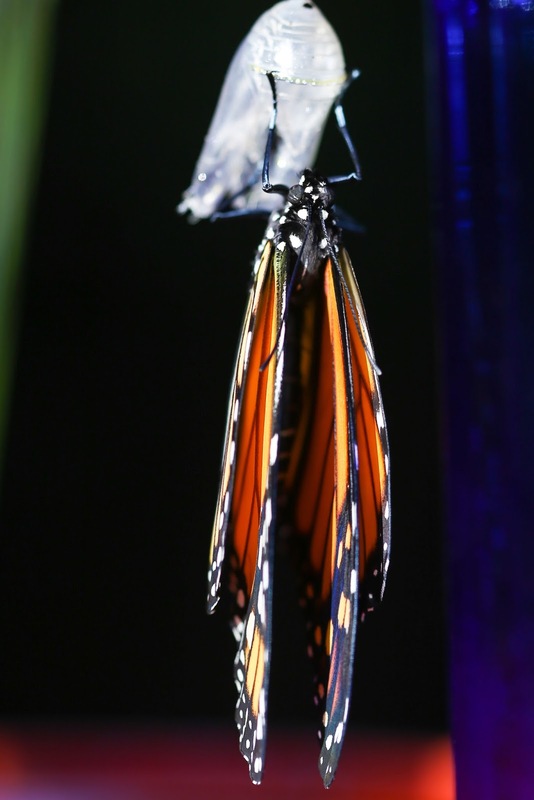 He twists and turns from side to side gently while hanging from the broken chrysalis. 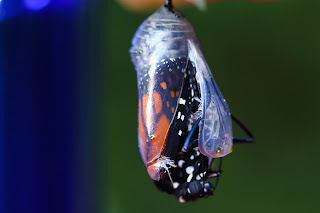 There - that looks more like it! While the butterfly is flexing his wings and abdomen, he is also rolling and unrolling his proboscis and moving what look like fuzzy eyebrows in and out. 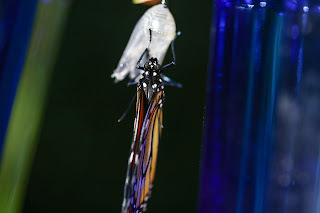 His two long antenna remain behind his head during this time. 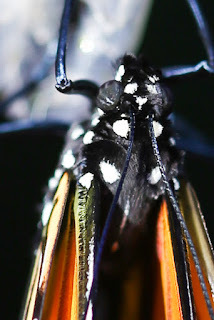 Closeup - you can see the eyes quite clearly. 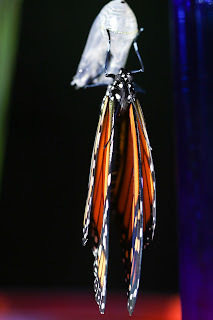 From this angle I could see him move his wings apart and together, airing them out and stretching them for flight. 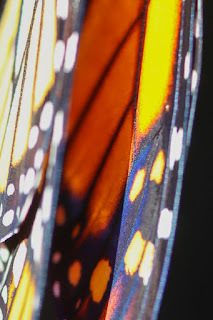 Closeup of the wings - you can see the tiny "tiles" or scales of color that make up each wing.